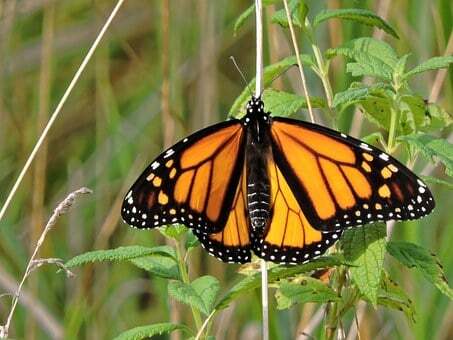 So, you need to start a butterfly garden? They bring beauty and motion to your garden. Making your garden hospitable is where to begin. You will need three things to make your garden attractive so they might want to make your yard their dwelling. You might want to choose some nectar producing plants which will bloom through the summer. The female needs plants to lay her eggs and for the caterpillars to feed on. Annuals are good to plant as they bloom all throughout the summer. You will want to have blooms mid to late summer once the butterflies are most active. Flowers which have multi-blooms are best. There are a number of perennials, like coneflowers and astors which are well liked. It’s good to plant unique plants that bloom at different times of the season. The black swallowtail appears to enjoy parsley and dill herbs. Apart from annuals and perennials, there’s a bush that they enjoy immensely, known as a”butterfly bush” that will definitely, attract a swarm of butterflies. These are the simple things in life that I appreciate. Other than the plants that are required, they, also, need some place away from the wind to shelter their eggs so they won’t be disturbed. You can purchase butterfly houses that you put in a woodsy part of your garden. Be sure to place the nectar producing plants close by. Painting the outside of the house bright colours may aid in attracting them, also. Sometimes, the house works and sometimes it doesn’t. You will want to provide at least one mud puddle or dampened place in the garden. They appear to gather around the edge of mud puddles. It is not clear as to why they do so, but it might be the moisture or a mineral they might need. Please, do not use insecticides in your garden if you don’t have to. Consider using a natural insecticide which you can purchase or make on your own. There are many natural insecticide recipes that you can get online. Insecticides kill the caterpillars and can kill the adults. Beginning a butterfly garden is easy by making your backyard searchable for them and understanding what will attract them. Simply keeping a small wet area for them and planting a few plants that they will enjoy is often enough to attract numerous butterflies.